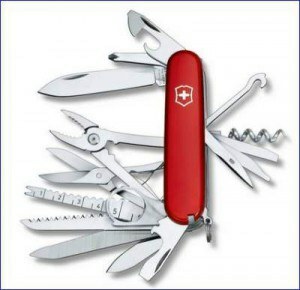 Swiss Army knife – one example with many tools. 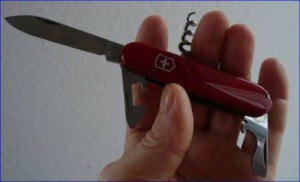 The Swiss Army Knife review which you are reading now is about a tool which is always in my pocket, in everyday life as well as in my mountaineering activities. I am sure you probably already know something about this great tool. Hopefully, in this text, you will find enough useful information which will help you decide whether to buy it or not and which model to choose. Product: The Swiss Army Knife. Also, if you are looking for a nice gift for somebody whom you appreciate and want to give something that will be remembered and used for the rest of his/her life, then this is a great choice. 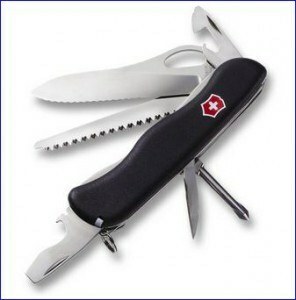 • The Swiss army knife is a typical example of a product which has become far more famous than its own brand Victorinox itself. • Victorinox is a Swiss company founded in 1884. Here on the right, you may see a screenshot of a page from Wikipedia, with some details about the company. • You may also see the famous logo of the company, the cross on the shield, which dates back to 1909. • The company’s name comes from 1901. It is a combination of Victoria, the name of the mother of the inventor, and the word “inox,” or stainless steel. • So the knife has been produced for over one century, it is the best pocket knife in the world, a multi-tool piece of equipment which is good to have with you in every situation. • There are around 350 models ever made, though not all of them have entered into mass production. In fact ‘only’ around 260 models have been available in the market. • Victorinox is the biggest pocket knife producer in the world, their Swiss army knife has been sold in more than 130 countries. So, there must be reasons for that. I would say it is the quality of the knife. • This is a truly Swiss product, all pieces of it that have completely been made in Switzerland. 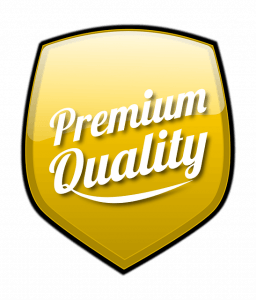 The highest standards are applied to achieve perfect quality and functionality. Millions of Swiss knives have been made annually. Even some American presidents have been using it, like R. Reagan. It has been used by NASA astronauts, see the attached document. Different models have a different number of tools, up to 22 tools (including a magnifying glass, stainless steel pin, etc). The biggest model has 200 functions, but it has not been in mass production. Some models have altimeter and barometer, great tools for hikers and mountaineers. All of them are subject to extensive quality control, and specifications are followed exactly without exception. The knife has PVC handle in many colors, the most famous being red of course. When you buy a Victorinox Swiss army pocket knife you have a lifetime warranty. This about warranty is not just a phrase. There is a long movie below, from National Geographic. 90 years old knife in Victorinox repair shop. I warmly recommend you to see it, but if you do not have time, you may start from 39:40 minutes. 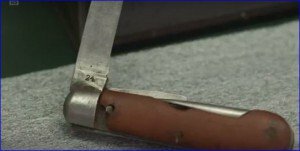 You will see a knife from 1924 which has arrived at Victorinox repair shop, and they are repairing its handle. If you have no time to watch the video, here is the screenshot from it on the right, showing the 90 years old Swiss army pocket knife from the movie, which was in the factory repair shop. In the USA there exists a Swiss army knife collectors club with more than 10.000 members. There exists a ‘collector model’ of a knife, with 80 different functions. 58 mm (2.3 in), 74 mm (2.9 in), 84 mm (3.3 in), 91 mm (3.6 in), 93 mm (3.7 in), 100 mm (3.9 in), 108 mm (4.3 in), and 111 mm (4.4 in) lengths. • Obviously, the thickness will depend on the number of tools (see below), and some models go up to 15 layers, not really handy if you ask me. The list is far from complete but you get an idea. Of course, not all models have all these tools. You will have to choose what you need. The knife has a spring feature which distinguishes it from imitations. It produces a typical click-clack sound when any of the tools is open or closed. This is one of the features to bear in mind when you buy one, to avoid bad quality imitations. When you buy one, also look for the logo on the handle. Take care that it has Victorinox inscription on the blade, as you may see it in the picture on the right. Buy only from reliable vendors and shops. There is a huge variety of models available on Amazon. Logo and blade inscriptions on true Swiss knife. One-hand lock blade (see it on the right), it can be open with one hand. Cap lifter with a screwdriver. Length 111 mm (4.4 in). Width 34.5 mm (1.36 in). Thickness 18 mm (0.71 in). When open the overall length is 197 mm (7.8 in). Weight is 131 g (4.6 oz). I have presented some essential facts you need to know if you are undecided whether to buy Victorinox Swiss army knife or not. There are many reasons for its popularity. When you are outdoor, you never know when you might need some of its tools. As I said in the beginning, I have one, a small knife but with no less than 13 functions, you can see it here on the right. If you need something with a spoon and fork included, please check this Gentlemen’s Hardware Camping Cutlery Spoon and Fork Folding Utensil Multitool which I am using on my mountaineering tours. Please leave some comment in the box below, I shall be happy to read it and to answer any question. Great review. The Swiss Army knifes have been a EDC item accompanying me both in combat and peace. One of the most unnoticed yet useful tools I have ever carried. I always have one on my person even at Church. Once again great article and product history. Hi Itimjack, great to read your lines. The same here, this small knife is with me wherever I go, and this has been so from the first day I bought it. You are right, you notice it when you need it, great tool. Nice review! I have several Swiss army knives myself. I don’t go anywhere without one of them. While I still prefer to have a larger EDC pocketknife AND a Swiss over a Swiss alone, i still think they are incredibly useful. Victorinox really has proven to be a quality provider, unlike some of the other knockoff Swiss knives I have used. I would definitely recommend anyone to get a Swiss who doesn’t already have one! Hi Koda, thank you, I agree with what you are saying. Just to add, there is also Swiss Soldier knife 08 described in the text. This is a bit different and bigger than most of Swiss Army knifes. 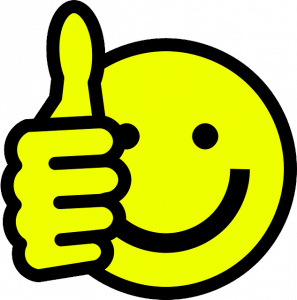 I see you put a lot of hard work into your website very nice, lots of cool pictures and content to read. your homepage has a very nice layout with lots of content. paragraphs are short and sweet very easy to read, graduation on a very nice website.I bookmark your page so I can read more. I use to live in n.d but never went mountain climbing but when I go back to visit ill definitely try it with all the information I gathered from your website. thank you, keep up the good work. Hi John, thank you, great to read your comment. Did not understand the meaning of n.d. In any case, all the best to you. Hello Jovo, Thanks for the very interesting and informational post. I never knew there were so many models on Swiss Army Knifes or the real name of the company that makes them. I have a small one from many years ago. I haven’t been to every part of your site yet, but enjoyed the ones on Tenerife. Do you let someone know your itinerary before you go off climbing by yourself? It seems like it might be dangerous not to. I look forward to finishing my tour of your wonderful site. Hi Susan, thank you for visiting my site and for the kind words. The Swiss army knife has along history and you know this is a globally known tool so indeed there are so many models available. 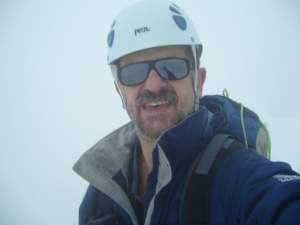 As for the climbs, no, I do not inform anybody about my itinerary. I know it does not sound so smart but that is how the things are. So far so good. All the best to you. This look like a very useful tool to have and not only for men but for us girls to. These knives will make a great addition to any handbag. Just imagine all the possibilities. Just need to add a nail file onto that nail cleaner. Thanks for introducing us to this useful tool. Hi Michel, yes indeed it is a tool for ladies as well. In fact in my family it was my wife who had it first, I purchased my own later. I once owned a small model swiss army knife when I was a boy. I got it when I was 7 and had it up till 13 when I lost it in a family move. It was the greatest tool a young boy in the woods could have. I was surprised to see that 350 models have been made by the company. Is it possible to purchase some of the rarer models as collectibles? Hi Matt, great to hear about your experience with this knife from your early days. Yes, they make some models for collections, just search a bit. Some of those are not in normal sales. I know I had what I thought was a Swiss Army knife when I was a kid but I’m sure it was an imitation. I didn’t realize that it had over 25 different tools to it or that the brand was Victorinox (I always thought the brand was Swiss Army Knife). You have a lot of interesting information on the background and origin of the knife. Great article! Thank you npern, I was interested in this nice tool myself so it was interesting to do my research. Perhaps your own knife was a real one, as you see some of those with just a few tools are not really expensive. My own one is also rather small but I love it. Excellent poat about Swiss Knife. Every family has at least one and they don’t know any of these facts. Thank you Damir, I love the knife so much that I decided to collect facts and write the text about it. All the best to you. I thought I had a Swiss Army knife when I was younger but now that I’ve read your article, I’m pretty sure it was a cheap imitation. Swiss Army knives seem like the most versatile tools on the planet and they’re small enough to carry easily. Thanks for sharing this, it was very informative. Hi Ian, I myself have had an imitation in the past. But this is not the case any longer, both my wife and me have one Swiss army knife, slightly different models. You have seen my own in the photo, small but versatile, always with me. Thanks, all the best to you.